The 16 players currently on the list above could virtually make up 2/3rds of the team. On June 5th, 2014, Kendrys Morales will not require any compensation to be signed as a Free Agent, which is pretty much after the Rangers finish their brutal 11 game current road trip. If the team can stay near .500 on it, Jon Daniels should be aggressive with Morales to bring him into the fold for a few years. 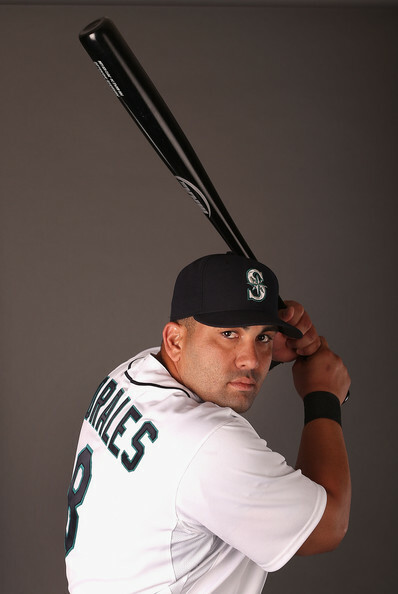 He may not be like Fielder, but Morales is still a professional hitter. The Rangers are incredibly at 23 – 24 on the year, which is in spite of poor starts from several key guys including Fielder. When you add J.P. Arencibia to the list, that is 17 guys rifled through at this point. Okay, so here is the good news.. Shin-Soo Choo is playing to an ALL Star level, and Alex Rios is playing better than what all of us thought. Mitch Moreland and Adrian Beltre could get hot as hitters, and Elvis Andrus is still healthy at SS. Scott Baker joins the rotation now of Yu Darvish, Colby Lewis, Nick Martinez and Nick Tepesch. It is a myriad of depth problems after that. Joe Saunders should be back in late May, and Tanner Scheppers is listed as a possible early June return. Swingman Robbie Ross Jr. is another possibility to be a back end starter. 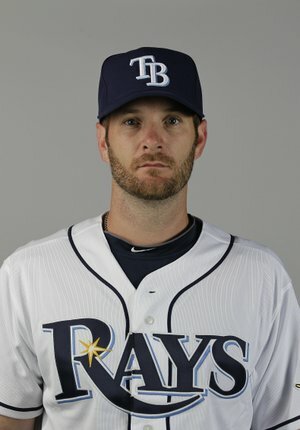 At a 4.71 ERA primarily as a rotation guy, it looks bleak, but he really was done in by 3 bad starts. His 1st 6 Games Starts, he only yielded a 3.86 ERA. It was games against tough competition in Colorado, Oakland and Boston that ballooned his ERA by almost a run. Down on the farm, the club also Neftali Feliz trying to work out his kinks. His 5.06 ERA in 10.2 IP with Round Rock may sound bad, however his WHIP is just 1.125. At some point soon, the franchise must see if he can cut it back up with the big club. Jon Daniels has his hands full at the Roster Depth Chart Board among the team’s brass. Texas has to consider the magnitude of these injuries. For one.. I still think the team should sign Kendrys Morales. I wouldn’t rush the deal, but start the waters running on this one. The Free Agent 1B/DH will be available for purchase (without compensation) following June 5th. For those scoring at home, that is only 2 weeks from now. Having a spot for a permanent DH has to be appealing to Morales. Factor in, the ballpark is a great place to hit, and he has played his whole career in the AL West, and you can see a beautiful marriage for a deal. Texas has a nice built in excuse to shovel to fans for this year. The next 4 weeks should tell us a lot. If this club can maintain somewhere in the Wild Card mix by then, and receive at least a few guys back, the team should add players down the stretch. A Left Handed DH would be ideal. Adam Dunn makes $14 MIL in 2014. It is the last year of his contract. If the White Sox fall off in the next month or so, they could look to trade the big slugger to a contender. Jose Abreu is slated to come off the DL shortly, and the team still has Paul Konerko. The Rangers could use a player like Dunn. He could add some much needed Left Handed pop, and he has shown better plate discipline this campaign. The 34 Year Old has slashed .248/.399/.465 – with 7 HRs and 19 RBI this year. Dunn would equal about what Fielder would have brought power wise in 2014. If not Morales, then I would be on the phone to White Sox GM Rick Hahn to see the availability of slugger Adam Dunn. It may take for the White Sox to effectively drop out of contention themselves, before the “Big Donkey” is put on the trade block. On the last year of his deal, Dunn provides pop with a thunderous stick. He may not match Fielder’s OBP, but his power numbers may almost equal the big fella. Jeff Keppinger was just DFA’d by the White Sox. The Rangers should wait for him to clear waivers, and should go for the Utility Infielder afterwards. Keppinger can play 1B/2B/3B/SS and DH. He would be a handy guy to have around, and could be added for depth. Another potential Infielder the team could use is recently DFA’d White Sox player Jeff Keppinger. This guy is a .282 Lifetime hitter, and could play 2B/3B/SS/1B – which would be right in the Rangers wheelhouse for depth. Keppinger is a great contact batter, and as such, could work in a lineup where lots of players strike out a lot. The man also hit .325 for the Rays just 2 seasons ago. Leonys Martin also has neck stiffness, but it is not expected to hit the DL, while Choo and Rios always seem to have nagging injuries, but rarely keep them from playing OF. Michael Choice also has a chance to make some hay at DH until a suitable replacement can be brought in. He will have to better than his 3 Slash in 2014 so far of .192/.292./.268 clip, but he has notched 16 RBI in just 97 AB. Choice has displayed good plate discipline in the Minors, and could put forth a .250/.350/.400 clip for the squad going forward. Ron Washington should give him another chance to prove himself. Texas won the game yesterday 9 – 2, but still have 10 games more on the road @ Detroit, Minnesota and Washington. If this team can’t hang in at .500 for the trip , it may not be in the cards for 2014. I wouldn’t go crazy on a bunch of trades if the team falls off a little. 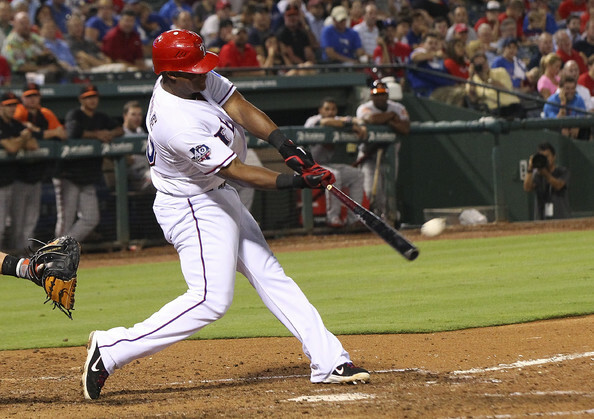 Adrian Beltre and Alex Rios may fetch decent returns for the kind of players they are. Texas must monitor how the other teams in the AL West are faring. If Joakim Soria can maintain his decent pace from the Bullpen this season (8 for 8 in Save Opportunities, and a 2.25 ERA), a lot of potential suitors will come calling for his services down the stretch. Finding Relievers is the easiest of all Roster Spots for competitive clubs, and also the least expensive to replace. Oakland looks as solid as ever for the Division, and the Angels are decisively better this campaign as compared to last. Seattle is directly above the Rangers, and should receive James Paxton and Taijuan Walker in early June to aid their quest in 2014. 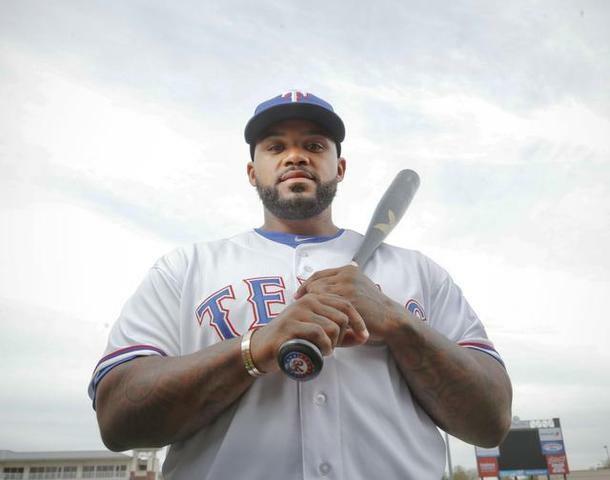 The team going forward will be in decent shape if Prince Fielder can come back strong next year. You have Darvish for the next 2 years, plenty of young arms – both coming back from injury and with the parent team. Leonys Martin is solid OF – who has plenty of speed. There is also a goof chance the club won’t fashion 20 DL stints before covering the teams 1st 50 games in 2015 either. The Rangers are so lucky to have signed Yu Darvish to the deal they did prior to 2012. The club has him for sure during the 2015 and 2016 years. The awesome RHP may be able to exercise a Player Option to become a Free Agent and flee the nest. Based on his $10 MIL a year average, this has afforded the club to spend money elsewhere. So if Texas does fall off the map, trading Beltre, Rios and Soria will clear the deck for more dollars to spent in 2015. Beltre has been a consummate professional for the team, but the salary escalates to $18 MIL in 2015, after making $17 MIL this year. The next 2 – 4 weeks are a pivotal time in the franchise, however no matter what the outcome of the 2014 year, the future is still okay as long as Darvish is around. Adrian Beltre is still not receiving enough credit for his overall play in the MLB during the last 4 years. The 34 Year Old (elder statesman of the club) hit for a 3 Slash of .315/.380/.880 in 2013, and finished 7th in AL MVP Voting. He led the AL with 199 hits last campaign. In 3 plus seasons with Texas, the man has a .309/.355/.534 3 Slash Line- while cracking 102 HRs and 316 RBI in 474 Games Played. 2014 hasn’t been productive though, with a 3 slash of .270/.338/.437 – with 4 HRs and 17 RBI in 33 Games Played. Beltre and Rios are both guys over 30, with a few years potentially left on their contracts, that could warrant great trade bait offers. Beltre. 35, has been a great Rangers player, but if this club fades out in 2014, he is a declining asset each and every day. Posted on May 23, 2014, in Free Agency, MLB Teams State Of the Unions, MLB Teams: Articles and Analysis and tagged adam dunn, AL West, alex ríos, Alexi Ogando, angels, colby lewis, engel beltre, j.p. arencibia, James Adduci, joe saunders, jon daniels, Josh Wilson, kendrys morales, kevin kouzmanoff, martin perez, Matt Harrison, michael choice, mitch moreland, neftali feliz, nick martinez, Nick Tepesch., pedro figueroa, prince fielder, Robbie Ross Jr., Ron Washington, Rougned Odor, scott baker, shin-soo choo, taijuan walker, tanner scheppers, texas rangers, yu darvish. Bookmark the permalink. 2 Comments.